COMMUTERS in the Capital are Britain’s smartest and make the most use of technology when parking or buying tickets, according to new research. Nearly 90 per cent of residents here have access to mobile applications and use them regularly, experts at Xerox Urban Mobility have found. But Edinburgh’s drivers are still taking around nine minutes to park, compared to just under eight minutes in Sheffield and nearly 11 minutes in Cardiff. The research also shows 45 per cent of city motorists want to see a wider range of apps designed to help them locate elusive parking spots. 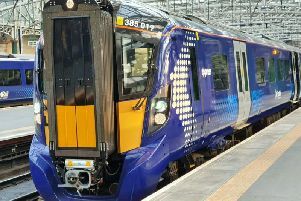 David Jones, general manager at Xerox Urban Mobility, said: “It is perhaps surprising that Edinburgh – which has a comparatively low level of transport infrastructure investment when compared to other large cities – has enabled the smartest commuting for its residents. Motoring representatives said they were not surprised that digitally savvy drivers had embraced mobile technology in a bid to speed up commutes. And they predicted travel and parking times would fall further with a “settling in period” for traffic flows after years of upheaval caused by tram construction. Neil Greig, director of policy and research at the Institute of Advanced Motorists, said: “It’s about making it as simple and easy as possible to park in Edinburgh. The problem is that you’ve had so much disruption in the city centre over the last few years and I think people are still confused over the layout. Council bosses said a forthcoming action plan would identify ways of improving parking options across Edinburgh.